For you my Valentine, A Chocolate Tart! As you can see I had to call the help of an unknown poet to prove my point, because if my success as a human being had to rely on my poetic abilities, it would have been a sad state of afairs. Luckily I know that the way to my husband’s heart goes straight through his stomach. Something decadently sweet and yummee will definitely earn me some serious negotiating powers. I have been fortunate enough to attend a chocolate tasting at the Wild Peacock in Stellenbosch recently and what a joy it was too. The focus was on only one chocolate, because frankly after you have tasted Valrhona Chocolate, your view on what chocolate should taste like, has been altered forever. Valrhona Chocolate is unique in the sense that they produce vintage chocolate made from beans of a single year’s harvest from a specific plantation, with the result that every years harvest will yield a chocolate with its own unique flavor profile. It may sound a little to technical , but it is exactly like winemaking where every cultivar grape grown in a specific region will yield a very specific wine. 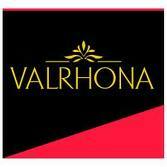 Valrhona Chocolate is really in my opnion top notch, it does not come as a surprise then that some of our top chefs choose only to work with this product when creating their their award winning desserts. After some serious chocolate tasting, trying to pin point the various flavors in every chocolate we were treated to a cooking demo with Vanessa Quellec from Cafe Milano here in Cape Town. Watching her skillfully make a very integrate dessert, was truly amazing and yes of course it was totally over the top delicious! Luckily for me, the very generous Ross of Wild Peacock had some 70% Valrhona delivered to my doorstep and I could play around with it in my kitchen. In preparation for my photo shoot with the uber talented Adel Ferreira, I tried various recipes and over the next few days, I will share them with you. First up today however is a very decadent Chocolate Tart with Raspberries…….. Melt the butter, syrup and cocoa in a little pot and mix with the crumbs. Press down in a loose-bottom tart pan. Place in the fridge to set. Pour cream into a small saucepan and bring the cream to just simmering on a low-medium heat. Remove it from the heat and pour over the chocolate. Allow o stand so that the chocolate can melt completely. Add the vanilla. Whisk a very small amount of the hot chocolate cream into the eggs and then ransfer the tempered egg mixture back into the hot chocolate and whisk the mixture until it is smooth.Pour into the prepared tart shell and bake for about 20-25 minites until the filling is set and only the center wobbles slightly when the tart is moved. Allow to cool and adorn with fresh raspberries and a fine dusting of icing sugar. Just when I thought your photos couldn't get better, voila, you post this chocolate and raspberry tart. It still strikes me as funny that chocolate is universally connected with Valentines Day. That looks like the perfect, romantic Valentine dessert to me! Not to mention – gorgeous! Now that's a fantastic looking tart! Love chocolate and raspberries! Seriously Nina, you have a professional photographer shooting your cooking? How absolutely cool! WOW! Nina, this post is awesome. This tart will definitely calm my nerves. Lovely for the warm weather too. this is a great recipe. i am looking for other uses for golden syrup. GORGEOUS tart, Nina. It looks so decadent, and I love raspberries and chocolate together. Do the eggs stay raw? Thank you for wonderfull recepie. May I ask about your oven setting. How many degrees and center or bottom of the oven. I always bake at 180 C.